Regardless of what you have been accused of, you are entitled to a competent criminal defense. You have rights. And it is important that you have legal counsel that is will to stand up and fight for your rights. That’s why you need to retain the services of Houston criminal defense attorney Cyril Westcott. In Texas, domestic violence cases fall into two categories—criminal and civil. In other words, the victim of domestic abuse may file criminal charges against the perpetrator as well as sue for financial damages. Assault, stalking and menacing, child abuse, and sexual assault are all examples of behavior that qualifies as domestic violence. Domestic violence is not limited to relatives. Dating relationships and various other types of partnerships can be addressed under Texas’ broad domestic violence laws. Cyril Westcott and the Westcott Law Group defend every type of domestic violence case. If you are being investigated or questioned by law enforcement and attorneys-at-law for domestic violence, you do have the right to remain silent. Call the Westcott Law Group immediately about your case. We can help protect you from making statements that prosecutors can use against you in the court of law. In addition, we can help protect you in the court of public opinion, which can affect the outcome of cases. Texas has very, very strict laws in regards to narcotics and other illicit drugs. You can be subject to punishment such as fines, probation, jail time, or even loss of driving privileges. The Texas Penal Code and the Texas Controlled Substances Act covers most drug violations. It is important that you have an experienced Houston criminal defense attorney on your side as you fight your case. Your criminal liability is based upon numerous factors including the type of drug that was in possession, how much of it, how it was being carried, how it was being concealed, how it was being handled, and even your past record. As such, there is too much at stake. If you are facing drug-related charges, contact Westcott Law Group immediately. Texas has some of the harshest drunk driving / intoxicated driving laws in the country. These important laws intend to keep motorists safe from reckless, irresponsible drivers. However, for those facing charges and a conviction afterward, the penalties are severe and could cost you your livelihood. Regardless, you are still entitled to competent criminal defense. Penalties for being caught driving drunk / intoxicated can range from probation to significant jail time. The Westcott Law Group provides criminal defense for DUI/DWI offenses. This includes, but not limited to public intoxication, open containers, and minor in possession (MIP). In Texas, the blood alcohol concentration (BAC) level, determines the criminal charges levied in a DUI/DWI case. For adults over 21, the legal BAC limit is 0.08%; for commercial drivers, it is a stricter 0.04%. Remember, you still have rights. You have the right to remain silent. 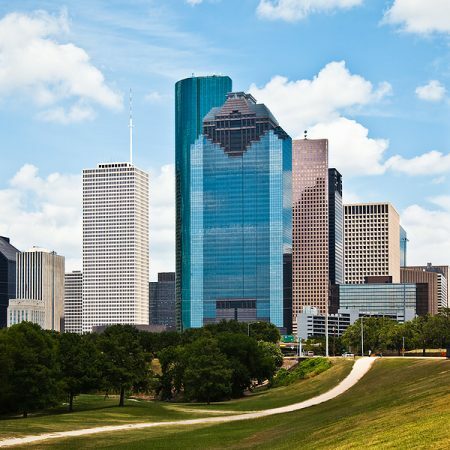 Do not try to defend without the assistance of an experienced Houston criminal defense attorney. You can endure the consequences of your arrest for a very long time. In fact, you can still have previous arrests on your record even after authorities drop the charges. This could hurt your ability to secure housing, a mortgage, or even a job. As such, you have to protect yourself. But there is a way through a process of expungement or record sealing. Expungement clears your criminal record entirely—the charges and the arrest record is no longer there for anyone to find. This includes electronic and or physical copies of documents. Record sealing, also known as non-disclosure, will limit access to your prior record. A court order can re-open records, however, most would be unable to see it. But, law enforcement and professional licensing agencies can still see these non-disclosure records. You may qualify for expungement if your case falls into certain categories. This includes authorities opting to drop or dismiss charges after your arrest; charges resulting from identity theft; or an acquittal by the Texas Criminal Court of Appeals. This is a complex process with a lot of nuances and details. That’s why you need to contact the Westcott Law Group immediately. In Texas, a juvenile is anyone under the age of 17, but older than the age of 10. In general, the Texas criminal justice system treats juveniles different from adults. Compared to the more punitive sentencing for adults, juvenile punishment focuses on rehabilitation and restricting further offenses. Regardless, criminal penalties for juveniles can be substantial. Certain crimes such as truancy or curfew violations are specific to juveniles. However, some more serious charges, such as theft, robbery, or even murder, can result in the court trying the juvenile as an adult. In other words, despite their age, they will still be subject to punitive sentencing just as if they were over the age of 17. Juveniles have many of the same rights as adults facing criminal charges, including the reading of their rights, the right to an attorney, the right to hear charges, the right to confront their accuser, and the right to protect themselves against self-incrimination.